Jayden Gould has always loved horses. From childhood to today, she has loved all things rodeo. Her father, Bret Gould, is a professional in the rodeo business, and under his influence and her uncle’s influence, she and her cousin joined the ranks. She said people will say, ‘Oh, that’s Bret’s daughter!’ and then she’ll have to show out. However, a childhood accident halted her passion. “I got in a horse accident when I was 8, and then I quit until I was in fifth grade,” Jayden said. But her inability to master another sport eventually outweighed her fear. To help her overcome her fear, Jayden’s grandmother gave her a horse. For a year, she would just brush Spider. Her grandmother was the key ingredient to helping her conquer her fears. She would take her on small rides and encourage her until she built up courage of her own. Jayden’s interest soared from there. 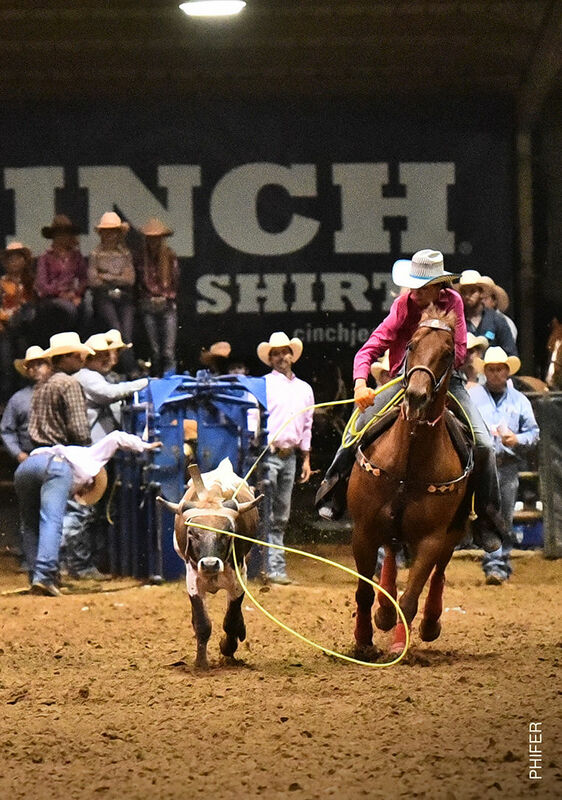 She started competing in the eighth grade — everything from barrels to team roping and breakaway, some of which are traditionally male-dominated categories. She said there are not many women in these categories of rodeo, but they do exist. History was made at The American Rodeo, a big rodeo at AT&T Stadium in Arlington, the home of the Dallas Cowboys, when a girls breakaway category was added with a prize of $100,000 in 2018. Jayden said she had to build a reputation of success for herself to be taken seriously as a competitor in those male-dominated categories. When she succeeds in those categories, she gets more attention because she is a woman. She has traveled the United States while competing, making it to nationals in Gillette, Wyoming, her freshman year of high school. Right now, she is in her senior year. She home schools through a cooperative 9 a.m.-noon Monday through Thursday that makes it easier for her to travel and make up her work. 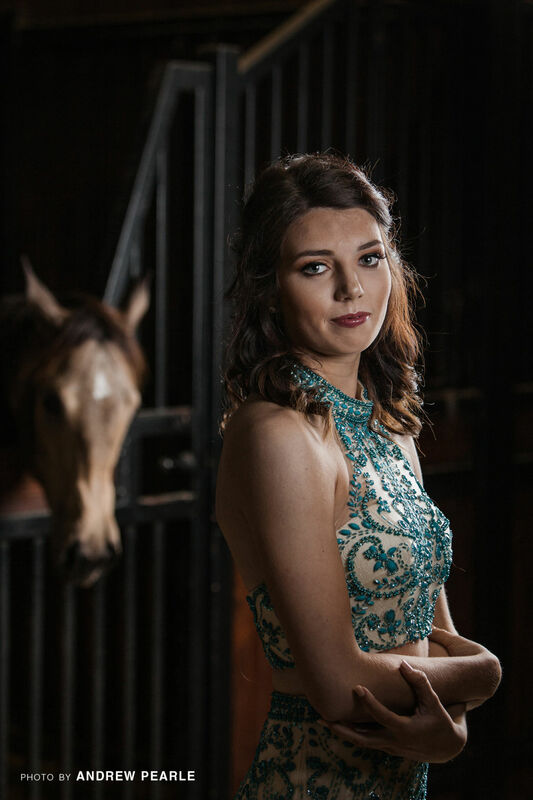 Although rodeo is her passion, Jayden enjoys many things like dressing up with her friends and going to prom. She even attends a rodeo prom. She said it’s good to see familiar faces from different competitions.